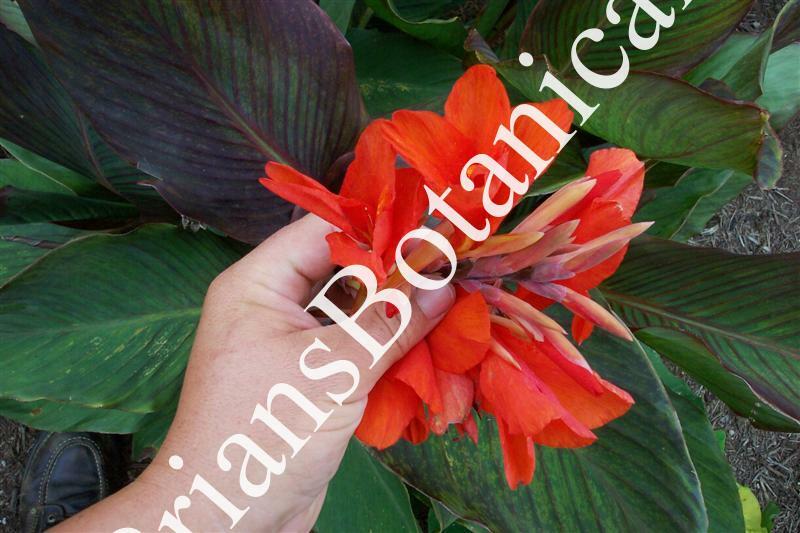 Canna Eric Neubert is an older hybrid that I have thought was out of the market for years but suddenly a few years ago I was able to find some nice clean stock. Plants grow 3 to 4 feet tall with dark bronze leaves and bright red to orange flowers medium flowers. A very flamboyant plant great for dramatic tropical landscapes.